NASHVILLE, TN — Rep. Karen Camper, (Memphis) and Sen. Thelma Harper (Nashville) recently received special honors at the N.O.B.E.L (National Organization of Black Elected Legislative Women) national conference. Rep. Camper was elected president and Sen. Harper received the Lifetime Achievement Award. Pastor Howard Jones, candidate for the State Senate, District 19, escorted Senator Harper to the podium and said, “She is truly a noble woman and leader, and most deserving of this honor. She has been a strong community leader and advocate for causes that impact our communities.” Harper’;s daughter, Linda was also on hand for this special honor and assistant Janet Patterson. 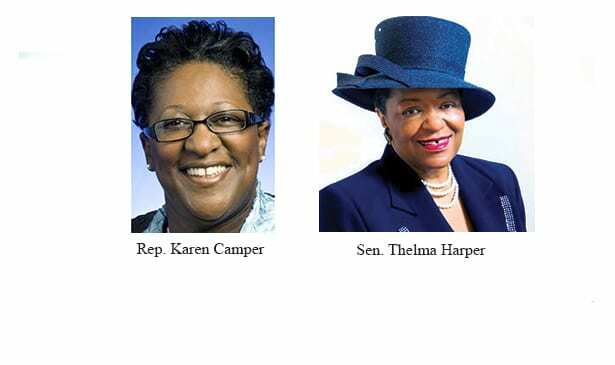 Sen. Harper was nominated by the entire Tennessee delegation of African American women legislators. As she received her awards for this honor, Rep. Joe Towns read a special poem dedicated to her. N.O.B.E.L is made up of female African-American state lawmakers from around the country met in Nashville and ended their conference in early July. During times when legislators are not meeting at the state capitol, they meet with counterparts from other states for ideas, education and support. Discussions now, can lead to legislation in the future with research and background support available. At the closing business session, Rep. Karen Camper was elected to lead the organization. 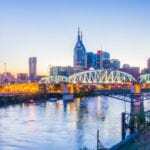 Camper is highly regarded in the Tennessee Legislature and serves on major committees, including the highly respected Senate Finance, Ways & Means and Committee. “All of us are mamas, and we know what we need to do with families, and what we try to do is pass it on, and at these conferences you always learn something,” said Sen. Thelma Harper. Sen. Harper, elected more than 25 years ago, was the first African American female, elected as a state senator in Tennessee. She recalls the time when there were not many of these faces (of color) in state legislatures from around the country. Some of the major areas of discussions at this year’s conference were safe drinking water, black women in technology, and human trafficking. Rep. Camper explains N.O.B.E.L’s emphasis on getting young black women to go where sometimes they don’t. “We have a partner in Silicon Valley that comes and talks to them about things like coding. That is one of our signature programs,” Camper stated. These current African American lawmakers are well aware that their mere presence in the legislature is because of those who came before them, such as Alabama lawmaker Laura Hall. “Many times you will find only one black woman serving, and so they have an opportunity to come to our meetings, feel the bond and see there are others out here fighting the fight, too,” Hall said. Among many joint ventures, Sen. Harper and Rep. Camper share a special connection with the former Tennessee Economic Council on Women. Sen. Harper sponsored the legislation in the senate to establish the Council in 1998. Rep. Camper, served as chair of the board during the agency’s challenging times, as she led the fight to continue the Council, which was unsuccessful. The National Organization of Black Elected Legislative/Women (NOBEL/Women) is a non-profit, non-partisan organization primarily composed of current and former black women legislators as well as many appointed officials. Originally established in 1985 as a national organization to increase and promote the presence of black women in government, NOBEL/Women in recent years has expanded its vision to serve as a global voice to address a myriad of issues affecting the lives of all women.